Having been a birder since age seven, many of my examples of convergent evolution will derive from the avian world, and they will involve considerable detail (e.g. belly color, posture, habits, etc.). I suspect most experienced birders can simply look at an illustration of a bird from some field guide of a far off land they have never been to and immediately make a pretty good guess about a bird’s preferred habitat and its behavior simply by looking at the shape and plumage of the bird. For example, a black songbird with red shoulders or a red breast is almost certainly a male who displays boldly and sings prominently from perches in marshy wetlands. My aim here is to give voice to those hunches and explore the patterns we see. 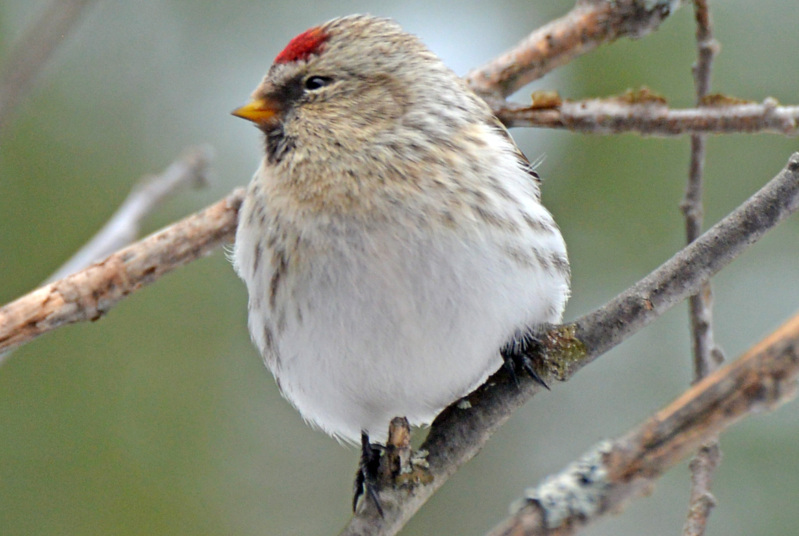 The Hoary Redpoll, a finch of the high Arctic, is larger, paler, and with a smaller bill than its southern cousin, the Common Redpoll, thus simultaneously satisfying Bergmann’s, Gloger’s, and Allen’s rules. There is Bergmann’s rule, that more northerly species are larger (e.g. Polar Bear v Grizzly Bear; Snowy Owl v Great-horned Owl; Hoary Redpoll v Common Redpoll). Gloger’s rule would add that they are also more pale in color. There is Allen’s rule, that animals in warmer areas have larger surface areas, especially appendages, than animals in cold areas (e.g. compare the ears of Kit and Arctic Foxes). I posit there are thousands of such rules, which evolution is largely bound to follow. Many of them we have noticed but never named. Likewise, many exist for no apparent practical reason, at least that we can discern, yet they happen repeatedly, and with great detail, such that dismissing them as coincidence is unsettling. These rules transcend species and genus and kingdoms, with similar traits evolving convergently and independently of each other according to these unnamed rules. My goal is to illustrate them, shine a light on them, and encourage discussion about them.